The classic webbed armchair by Alvar Aalto was designed in 1947. The solid laminated birch frame supports the intricate cross-woven webbing. The webbing provides a sturdy seat and back but allows for additional give and comfort. 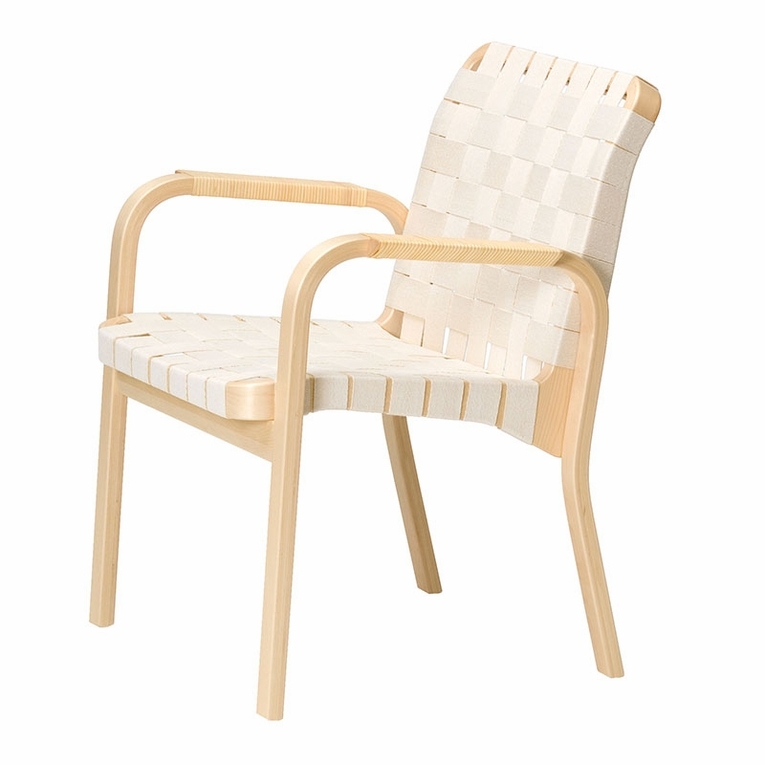 The armrests are wound in rattan adding extra durability to this chair's functionality. Made in Finland by Artek. Ships assembled. Currently shown in Natural Linen Webbing.Please review our Shipping Information page before ordering. Payment: 50% will be charged at time of order, remainder will be charged at time of shipment.